Age-related macular degeneration, often called AMD or ARMD, is an inherited deterioration of the Macula. Macular degeneration is the leading cause of vision loss and blindness in the United States for people over 65 years of age. Because people in this group are an increasingly larger percentage of the general population, vision loss from macular degeneration is a growing problem. AMD occurs with degeneration of the macula, which is the part of the retina responsible for the sharp, central vision needed to read or drive. Because the macula primarily is affected in AMD, central vision loss may occur. At An Eye To The Future we have gone far in having acquired advanced technology and treatment regimens to help prevent and slow the progress of AMD. Dr. Silberberg has lectured to large groups of Optometrists and Ophthalmologists encouraging them to be more aggressive in treating this condition. Eat plenty of fresh fruits, green leafy vegetables, and nuts. Include 2-3 servings fish per week in your diet. Wear sunglasses and/or hat to protect against chronic sun exposure. Genetic testing Determines the risk of someone developing the disease as well as provides guidance in what care to intervene with. Macula Risk PGx AMD Genetic Testing Macula Risk® PGx is a combined prognostic and pharmacogenetic DNA test designed to determine a patient’s risk of progression to advanced Age-related Macular Degeneration (AMD) and aid in the selection of appropriate eye vitamin formulations for AMD based on his or her individual genetic risk profile. The key is early detection and early treatment.There is as yet no outright cure for macular degeneration, but some treatments may delay its progression or even improve vision.We at An Eye To The Future have referral relationships with who we consider the best retinal physicians available if treatment is required. The Optovue OCT can see macular changes before other older clinical evidence appears. This allow us to aggressively intervene to help the early AMD or at risk pre AMD patient. 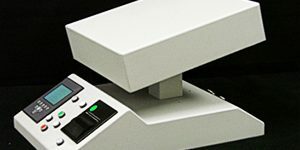 This high resolution imaging system can help our group see subtle changes early in the condition. 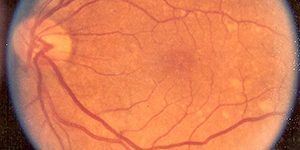 This new technology that measures the level of yellow pigment in your macula region . The yellow pigments seem to be protective in nature. Finding a thin pigment layer allows us to recommend certain neutraceuticals, diet and lifestyle changes to help a person BEFORE they develop AMD. This use of specifically designed dietary and Vitamin therapies minimize the risk of developing AMD as well as slows progression in people who already have it. 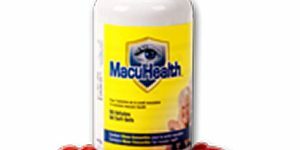 One potent formula we use frequently is Macuhealth Vitamins: MacuHealth with LMZ3 is a patented natural eye health supplement consisting of the three primary protective pigments found in the macula. Taking this one small, easy-to-swallow soft gel once a day has been clinically proven to restore macular pigments to normal levels for enhanced vision and help in the prevention of age-related macular degeneration. Gluten free. The damage from blue light is a known causative agent in the development of AMD. These lenses block this damaging radiation. Antiglare coatings of specialized designs are extremely useful.